HPL Electric & Power has filed its draft red herring prospectus (DRHP) for an IPO with the capital market regulator SEBI. Through the IPO, HPL Electric plans to raise INR450 crore and the shares will be listed on the BSE and NSE. HPL IPO will be managed by SBI Capital Markets, ICICI Securities and IDFC Bank. HPL Electric plans to use the offer proceeds towards repayment of loans, working capital requirements and general corporate purposes. Out of the total proceeds from HPL IPO, INR130 crore have been earmarked for prepayment/repayment of debt while INR242.8 crore have been set aside for working capital requirements. The remaining amount after IPO-related expenses will be used for general corporate purposes. 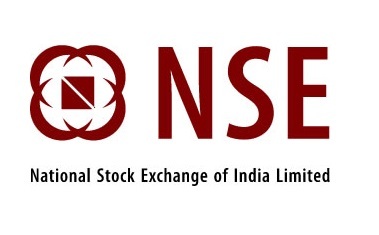 The company is also considering a pre-IPO placement of up to 42 lakh equity shares with some investors. The placement is likely to yield INR125 crore to the company. Promoters Lalit Seth and various Havell’s-group companies hold a combined 73% stake in the company. This group is not to be confused with Qimat Rai Gupta’s Havells India Limited which is also listed on Indian stock exchanges. Qimat Rai Gupta’s company acquired the Havells brand for its consumer electric business from Havell’s Private Limited (HPL) in 1971. Incidentally, HPL Electric & Power and Havells India Limited are in trademark litigation over the use of Havell’s name. The Delhi-based HPL Electric & Power is a manufacturer of electric equipment such as meters, switchgears, lighting equipment and wires & cables. The company has six manufacturing facilities in Haryana and Himachal Pradesh with in-house testing capabilities. Around 48% of HPL’s revenues are generated from metering solutions while switchgears account for 19%. Another 27% comes from lighting equipment while the rest is contributed by other businesses such as wires & cables and railway electrification. Going forward, HPL Electric sees the government’s smart cities and affordable housing projects are major opportunities. With a profound experience in the finance field, Anurag also has years of experience in writing about different domains including finance and technology. He used to write for different content portals along with his association with IPO Central as a frequent contributor. His financial analyst’s background supports his writing and help him to get aware about different news’ of finance world.